Morehouse load cell alignment plugs are used to help center the load cell in calibrating machines. They are used in combination with the other adapters below. More information on load cell adapters and the mounting accessories can be found here. Thread is past flush and into the cell. 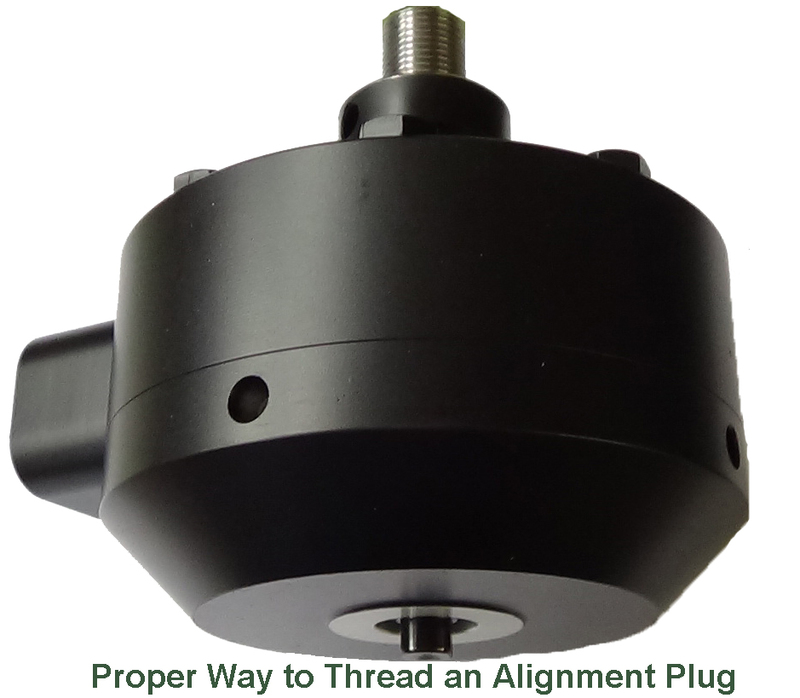 When using your alignment plugs that thread into the bottom of your load cells, make sure they are threaded flush to the bottom of the cell. Once they are flush, thread the adapter an extra turn into the cell. You want to make sure that none of the threads are exposed below the base of the cell. If there is a thread or more exposed, the load will be generated through the internal threads of the cell and not its base. This will result in an additional calibration error of about 0.012 %. 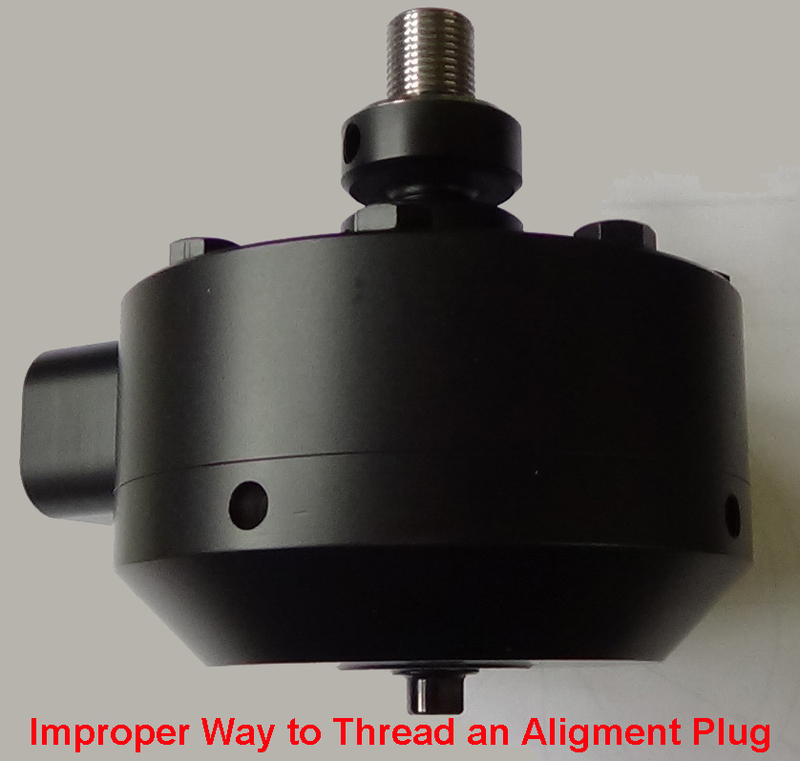 It will often result in damage to the alignment plug. Alignment plug is not threaded past the base of the cell. Written by Henry Zumbrun with help from the calibration lab technicians, who have received numerous load cells with damaged alignment plugs.